The line “In the end the love you take is equal to the love you make” written by Paul McCartney is essentially the Beatles closing statement. It is the last lyric on the last album they recorded. This song remains one of my favorite songs, the poignancy it expresses fully realized that for the Beatles it was the end. It is also the antithesis of Sir Winston Churchhills (also British) view on human relationships, that life is not lived by what you give, but lived by what you make so you can take. Giving to get. This is common in our present culture, but not a new concept. It is rooted in the original sin, the forbidden bite of fruit. I will make my own way by taking what I think I need. But life, real life is truly lived to its fullest by what we give. Time, talent, money are the most valuable when they are given freely with no expectation of return. In this way we are truly free to live as God intended, loving God through our love and service to others. 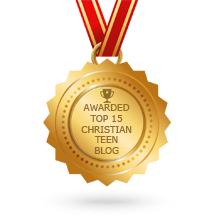 This entry was posted in A CLICK A BLESSING TODAY, Christian Teens Blog JF, CHRISTIAN TEENS BLOGS, Christian Teens Blogs - He is my Peace, Christian Teens Blogs - He is my Peace, Light and Refuge, TAPESTRY TREASURES and tagged beatles, giving, In the End, Love for others. Bookmark the permalink.